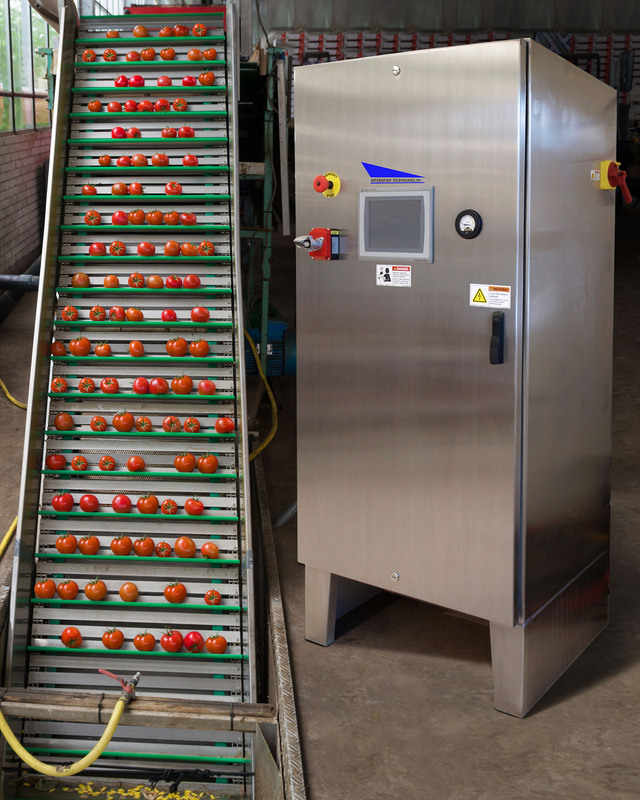 A new PEF system for processing fruits and vegetables by softening their tissue at the cellular level which makes slicing, dicing, peeling, drying, and juicing easier is being introduced by Diversified Technologies, Inc. of Bedford, MA. Diversified Technologies’ PEF System for the tissue modification of fruits and vegetables lowers their processing cost by actually making more of the cell contents accessible. Utilizing microsecond 1-5 kV/cm high voltage pulses to perforate cell membranes, this system can prepare tons-per-hour of whole fruits and vegetables for downstream processing. Capable of up to 85% higher juicing yields, Diversified Technologies’ PEF System is instantaneous and requires very low energy. Non-thermal and non-chemical, it reduces energy requirements for cutting and peeling by 20-50% with less waste and breakage, claims the firm. Systems start at 100 kW, packaged in a CE Marked NEMA 4 stainless steel enclosure. Diversified Technologies’ PEF Systems are priced from $295,000.00. Literature is available at request or online at www.divtecs.com.